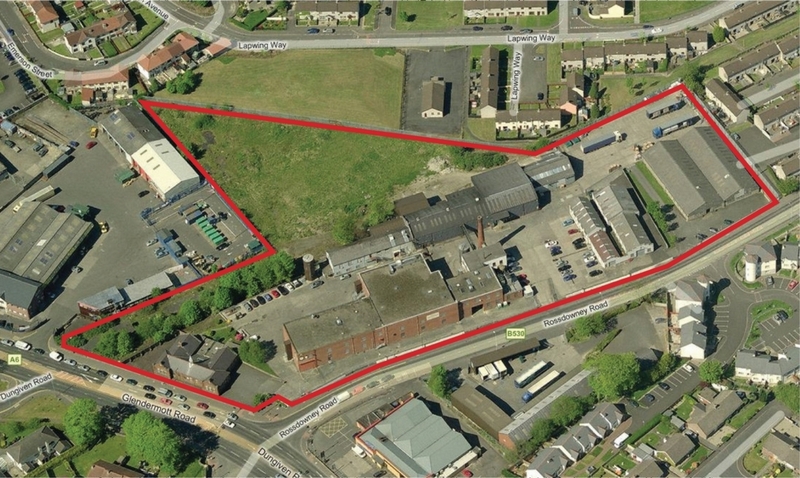 This high profile, edge of centre site is located in the retail capital of the North West, Londonderry. Rossdowney District Centre is on the east bank of the city on the main Belfast Road. It benefits from over 30,000 daily traffic movements and 8 bus routes on its doorstep. 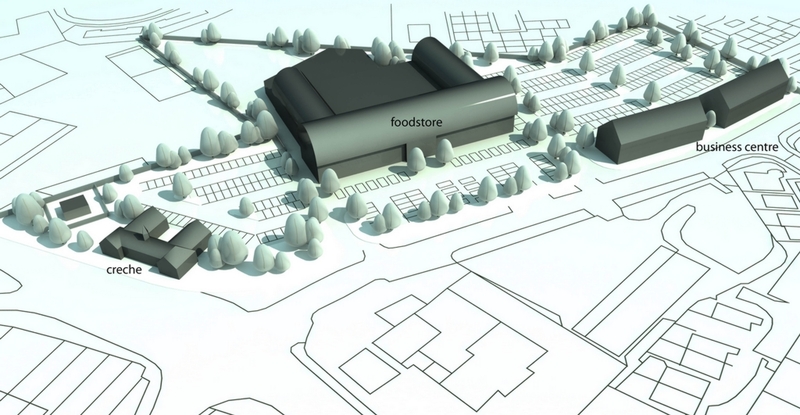 The site has recently achieved planning approval for: *40,000 sq.ft. foodstore *8,780 sq.ft. business start up units *4,280 sq.ft. 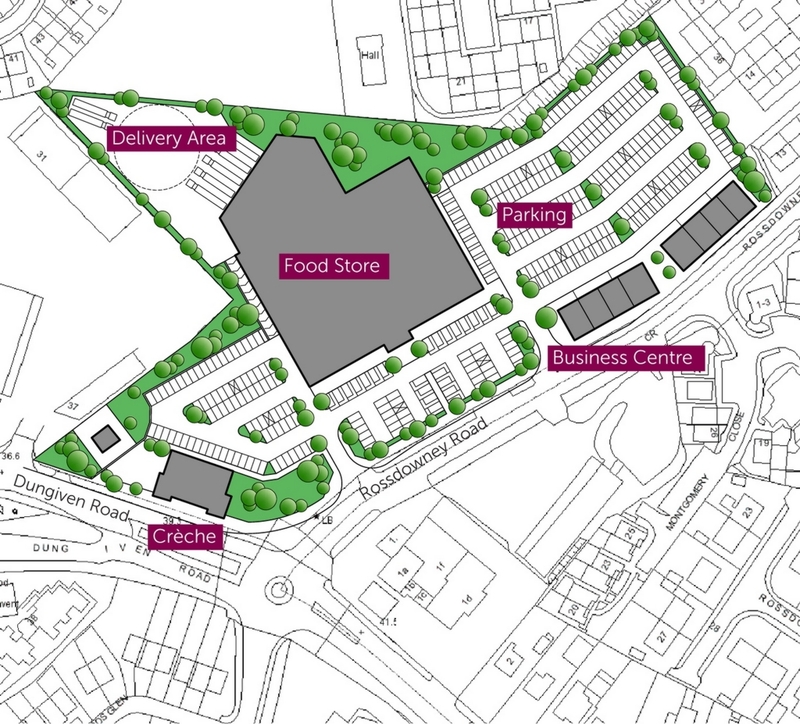 creche *343 surface parking spaces This will create a focus for retail and new business in a highly accessible location on the waterside This site will measure 5.9 acrea, the majority of which is level before it steps down to the delivery area at the rear. it is currently occupied by Niche Drinks who produce beverages such as St. Brendans liquer. Niche Drinks have planning approval to move on to a larger site on the outskirts of the city. There is no other site in the city which is edge of centre, benefits from such excellent transport infrastructure, with such an area of surface parking possible. The recent Retail Study 2012 published by DoE estimates the total available expenditure for convenience goods within the catchment to be over £188 million while a figure of approximately £150 million for those who travel greater distances is assumed. It also found that some existing food stores are overtrading. Approximately 100,000 people are in the immediate 15 minute catchment with up to 100,000 additional customers from the Republic of Ireland and surrounding counties using Derry as a regular retail destination for both convenience and comparison shopping. There is significant regeneration underway in the area with the redevelopment of the Ebrington site and construction of a new footbridge forming a direct connection to the city centre. This is encouraging the growth of a 'Waterside Quarter' comprising of Ebrington, Spencer Road, Clooney Terrace and Glendermott Road.